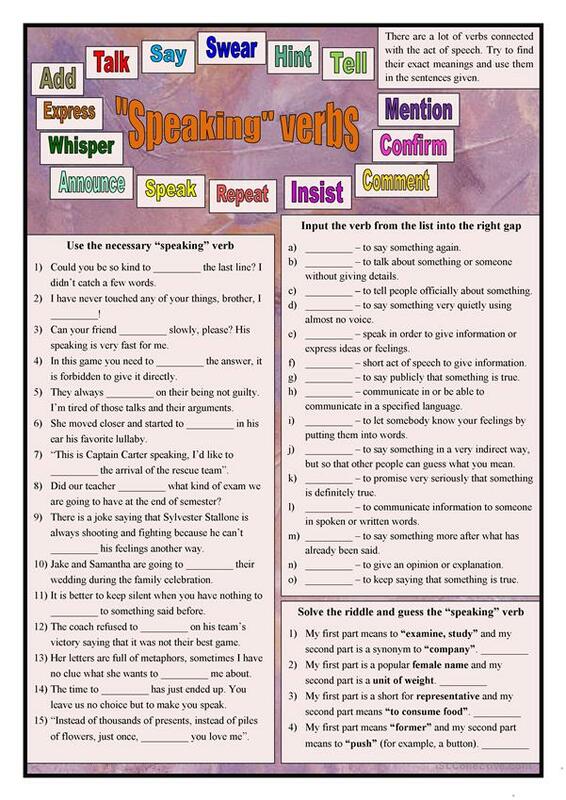 There are a lot of verbs connected with speaking, but unfortunately, not all students know the difference in usage, as well as the exact meaning of this or that speaking verb. This set of exercises may help them advance in this topic. The KEYS are attached. Your comments and likes are welcome. This downloadable teaching material is a great resource for high school students and adults at Upper-intermediate (B2), Advanced (C1) and Proficient (C2) level. 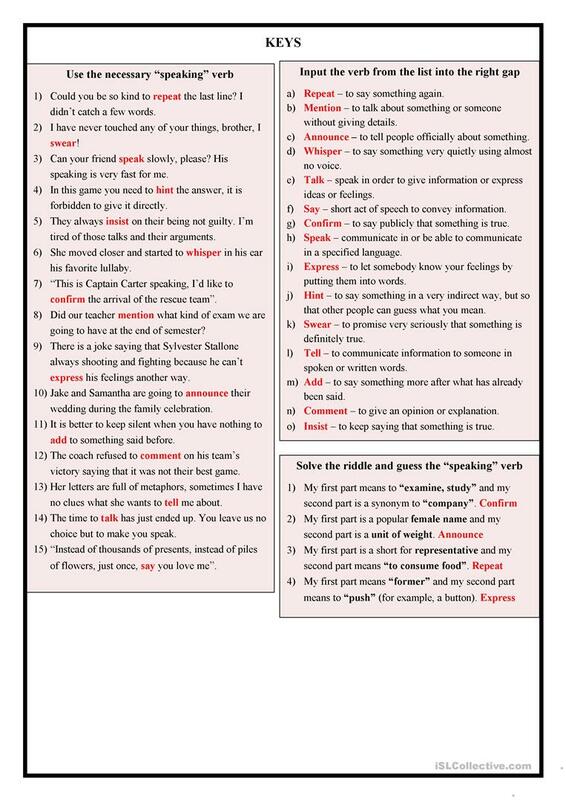 It is great for consolidating Verbs: Action verbs in English. It is about the topic and words of Socializing, small talk.